Each chargeback is accompanied by a reason code. These numeric codes differ by card network, but all theoretically serve the same purpose: to describe the motivation behind the transaction dispute. Below is an in depth overview of reason codes for Visa and Mastercard along with their description and likely causes. While each card network has its own unique set of chargeback reason codes, the categories are very similar. 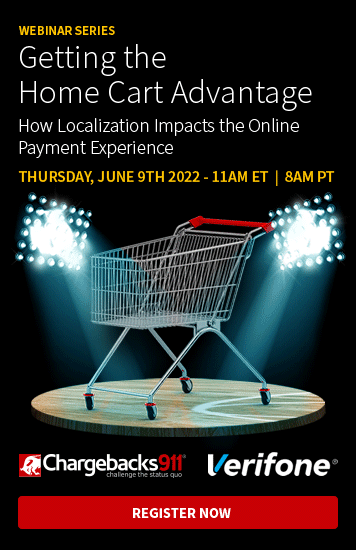 By looking at the corresponding codes for Visa and Mastercard, merchants can begin identifying trends, weaknesses, and areas of improvement. Merchandise or services were not received or not received by the agreed upon delivery date. The merchant didn't provide the services or failed to send the products. The merchant didn't send the items by the agreed up delivery date. The merchant didn't make products available for pickup. A recurring transaction was processed after the cardholder requested termination, the account had been closed, the charge exceeded the predetermined amount, or the merchant failed to notify the cardholder of the upcoming charge. The cardholder requested the transactions be terminated, but was charged anyway. The transaction exceeded the predetermined amount and the merchant failed to notify the customer (in writing) 10 days before the charge. The merchant prematurely billed an instalment payment. The merchandise was: damaged or defective upon its arrival, not the same as shown (online) or described (telephone), unsuitable for the intended purpose or counterfeit. The merchant didn't perform the services as described. The quality of goods or services wasn't adequate. A seperate transaction was processed from a car rental or hotel company after a valid transaction was made. The cardholder disputes a no show charge. A merchant participating in the Mastercard Guaranteed Reservations Service incorrect charged the cardholder a no show fee. The cardholder has made a purchase with the merchant in the past, but this particular transaction wasn't authorised (the cardholder was in possession of the card at the time). The cardholder did not participate in the transaction (a fraudster made a duplicate or counterfeit copy of the card). The merchant received authorisation without providing required data. A transaction was processed after the authorisation was declined. The merchant circumvented a declined authorisation by forcing the posting, re-swiping until authorisation was provided in error, or using an alternative authorisation method. Authorisation was not obtained or obtained using invalid/incorrect information. The merchant didn't obtain authorisation, obtained authorisation after the transaction date, or included the tip in the authorisation amount. A transaction was processed without authorisation on an expired card. The merchant didn't receive authorisation for a transaction on an expired card. The merchant didn't process the transaction in a timely fashion. The transaction wasn't processed in a timely fashion and the account has since been closed or it was posted after 180 days of the original transaction date. The cardholder doesn't recognise or remember the transaction. The cardholder did not recognise the merchant's name or billing information on the card statement. The information listed on the cardholder's statement was incorrect. The merchant didn't allow the cardholder to make the purchase in the merchant's local currency. The merchant didn't deposit the receipt in the country where the purchase was made. The customer wasn't notified of a currency conversion. The account number used does not match any on file. The card was not charged for the correct amount. The merchant altered the amount after the transaction was completed without the cardholder's permission. The merchant increased the transaction amount without the cardholder's permission. The merchant processed a transaction without the cardholder's consent or it was charged to a fictitious account. The merchant didn't properly document that the transaction was a mail, telephone, or internet order. The cardholder did not authorise the transaction. The cardholder didn't recognise the transaction (billing description) on the card statement. A family member used the account without the primary cardholder's knowledge. The merchant failed to credit the cardholder's account after a return was made. The merchant didn't issue the cardholder's credit or didn't issue it in time for the credit to appear on the statement. The merchant didn't share the return policy with the cardholder at the time of purchase. The cardholder paid for the transaction in question with cash, cheque or other card. After initiating a card transaction, the cardholder switched to a different payment method and the merchant accidentally processed both forms of payment. The merchant processed a transaction that was in violation of Mastercard rules. The transaction dispute reflects a truth-in-lending law claim authorised against issuers or creditors. For merchants, it is wise to categorise chargebacks by their three main causes: merchant error, criminal fraud, and friendly fraud. Doing so helps make prevention and management more effective. Taking the complete list of reason codes and dividing them into these three categories is enlightening. Chargeback fraud is commonly referred to as friendly fraud because the assault comes from a traditionally non-hostile enemy--the merchant's own customers. A customer contacts the bank to inaccurately report a genuine charge as fraud. Most merchants view this as a form of shoplifting. While there are instances where the fraud might have been accidentally committed, consumers often set out with the intention of getting something for free. The following reason codes are commonly associated with friendly fraud. The cardholder experienced buyer's remorse, and regretted the purchase. The cardholder didn't want to perform (or didn't qualify for) a return or exchange in accordance with the merchant's policy. The cardholder didn't understand the shipping process and expected delivery prematurely. The cardholder failed to withdraw permission to charge the account or cancel a membership fee but didn't want to pay. The cardholder intentionally cancelled a card account to avoid payments. The merchandise was: damaged or defective upon its arrival, not the same as shown (online) or described (telephone), unsuitable for the intended purpose. The merchant's name (billing description) was incorrect or unrecognisable. The cardholder didn't remember making the purchase. The cardholder experienced buyer's remorse and regretted the purchase. The cardholder didn't know someone else with access to the card (child, spouse) had made the purchase. Most merchants assume they are innocent when it comes to chargebacks. In reality, a merchant’s faulty involvement in the transaction process can lead to a significant amount of chargebacks. In fact, there are more reason codes associated with merchant error than any other cause. The good news is, the majority of these chargebacks are preventable. The merchant who is willing to exert a little extra effort and follow business best practices will reduce chargeback-induced profit losses. Not all of the following reason codes are caused by merchant error; however, a merchant’s involvement is usually a determining factor. The merchant didn't received authorisation for a transaction on an expired card. The cardholder paid for the transaction in question with cash, cheque or another card. After initiating a card transaction, the cardholder switched to a different method and the merchant accidentally processed both forms of payment. Determined fraudsters are everywhere. Because fraud can cause significant profit losses, it is important to recognise potential fraud and take the necessary steps to prevent it from happening. There are several reason codes that can result from fraudulent or unauthorised activity. Reason codes are an essential element in the management of chargebacks. They make it possible for networks to regulate things like time limits and compelling evidence. In theory, reason codes also help merchants understand the consumers’ grievances when they originally disputed the transaction. However, consumers have learned how to exploit loopholes in the chargeback process. Reason code intelligence isn’t as powerful as it should be. Merchants should be able to look at a chargeback reason code and know exactly what caused the dispute. But because of evolving consumer behaviour, a single reason code could easily fall into all three categories (merchant error, criminal fraud, and friendly fraud). Consumers exploit loopholes in the chargeback process, making reason code intel less effective. For example, an unauthorised transaction could result from a friendly fraudster who experienced buyer’s remorse, a criminal who made a purchase with a stolen card number, or a merchant who failed to acknowledge fraud signals associated with mismatched AVS codes. 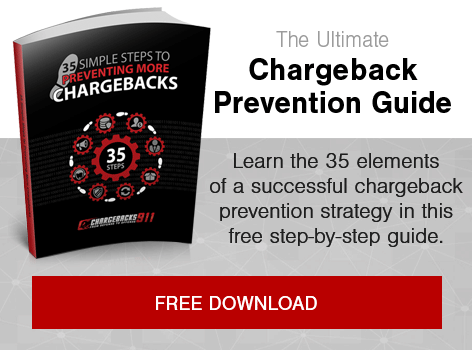 Unless merchants are able to identify the true cause of chargebacks, they won’t be able to implement an effective prevention strategy. The Chargeback Company offers Intelligent Source Detection™ technology. We are able to identify the real chargeback triggers that are affecting your business and interpret what those reason codes really mean. Contact us today for a free ROI analysis. We’ll show you how much more you can earn by accurately identifying chargeback causes, implementing an effective prevention strategy, and disputing illegitimate chargebacks.